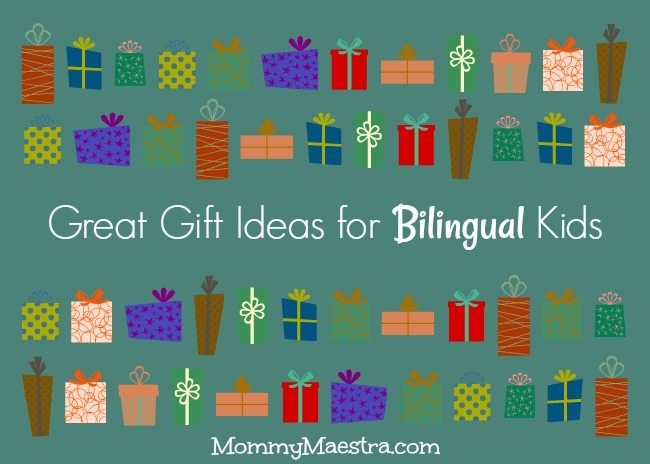 This year, I thought it best to do a roundup of my favorite gifts for bilingual families. Below are some remarkable products that I think will really appeal to children and even their parents. The criteria I used is simple: It must be fun and educational. Learning a new language or maintaining one's bilingualism shouldn't be a chore. It should be something that we enjoy doing. I think the products listed below help to promote a positive outlook when it comes to being bilingual. This post uses affiliate links. 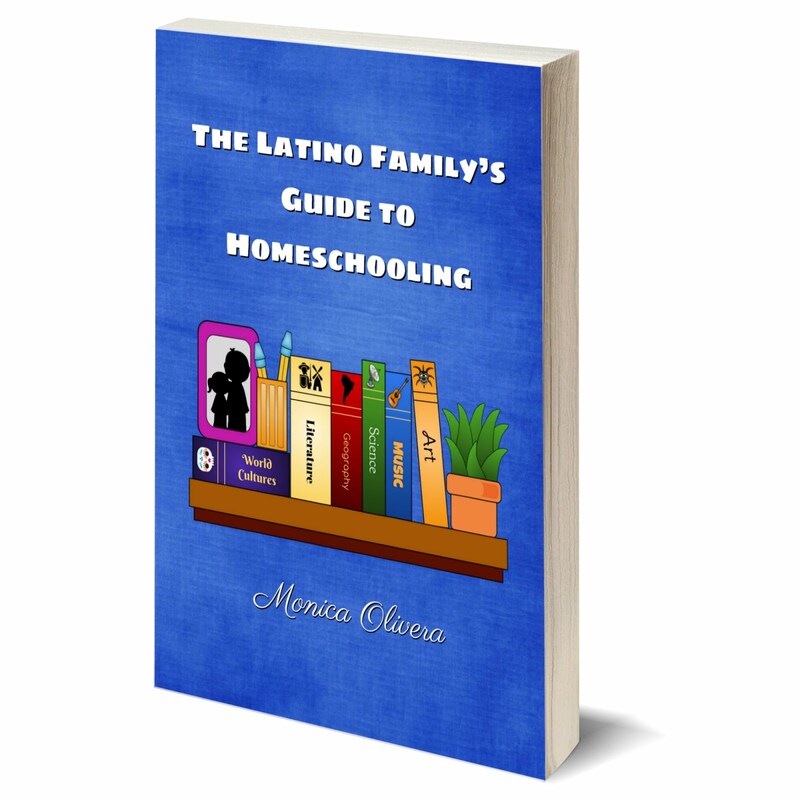 If you click through and make a purchase, I receive a small commission that helps me purchase books and other materials for my own homeschooling family. Thank you! 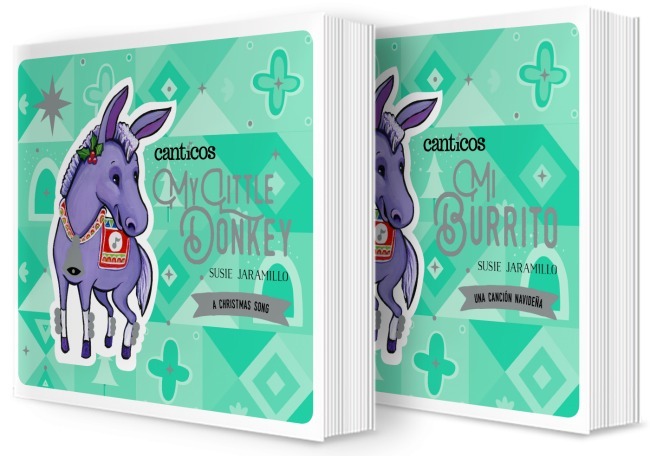 Most Hispanics have heard the traditional Christmas song, Mi burrito sabanero, and so I think this sweet book by Canticos would be a wonderful gift to give your child on Christmas Eve! Then you can read/sing it together....in English or Spanish or both! Fun. This online learning program can be summed up in that one word. 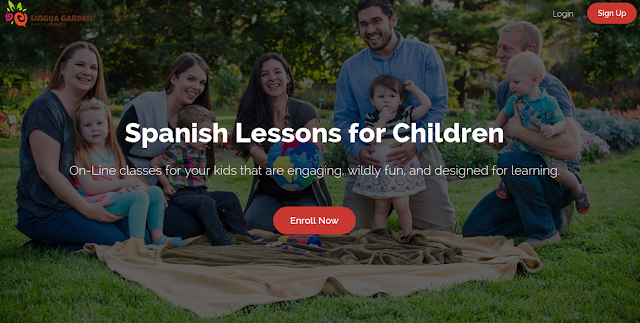 Lingua Garden is put together by the talented Denise Leitch, a Chilean-American Spanish teacher who worked hard to create an engaging and effective program for teaching little children how to speak Spanish. There are different levels and themes in her classes. I love how organized the program is and how you can track your progress on the same page where you are watching the videos for each lesson or downloading the activity pages. The truth is, Denise really makes this program come alive with her exuberant videos. Learn more by visiting her home page. 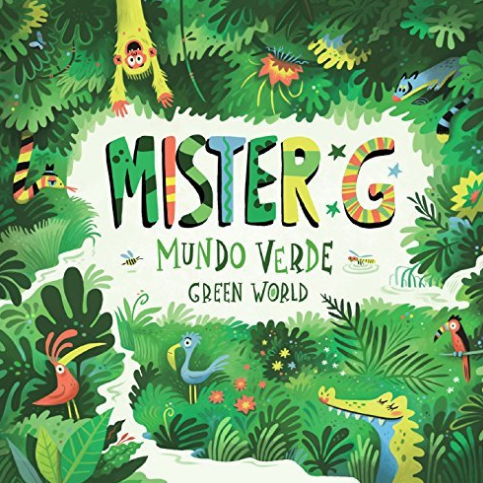 This new album by bilingual musician, Mister G, is a must-have! It is a collection of inspiring bilingual songs that encourage people around the world to support of global conservation and action. 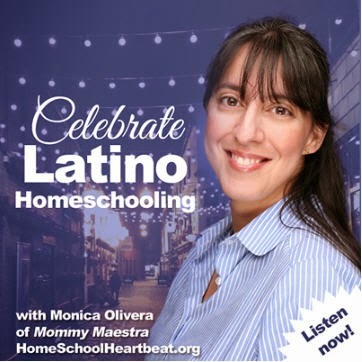 Each song is unique and many are performed in collaboration with musicians from throughout Latin America and the U.S. From bomba and samba to reggae and bossa nova, there's a little something to thrill every listener. Want to hear a sample? Check out this ADORABLE music video! 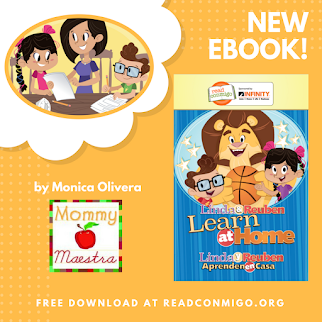 This new release from Children's Book Press is a must-have for every bilingual family's library! 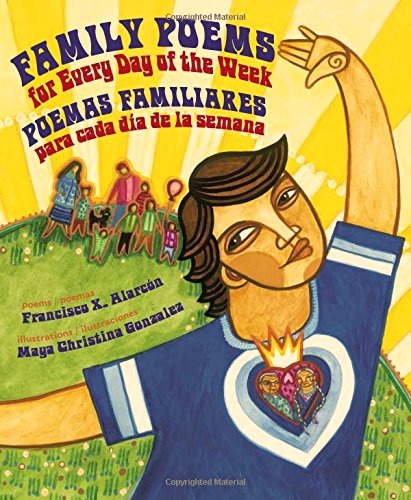 Written by the late Chicano poet, Francisco X. Alarcón, the poems reflect the daily multicultural lives of Latino children. Alarcón's poems are complemented by the vibrant illustrations of Chicana artist Maya Christina Gonzalez. This entire book is a celebration of bilingualism, multiculturalism, and childhood. 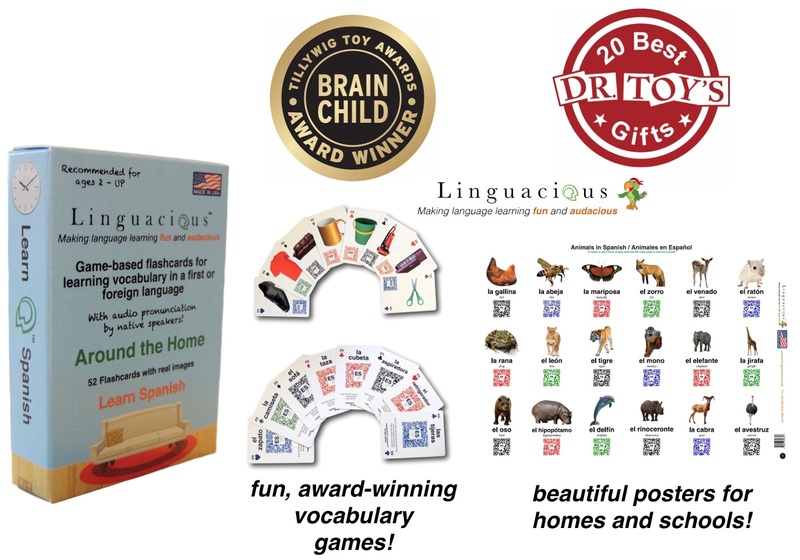 This card game is from a new language-learning startup that focuses on teaching basic vocabulary in foreign languages through the use of fun flashcard games. What sets these cards apart is the fact that they are the only flashcards that feature real pronunciation by native speakers. Each card comes with a QR code, so you will need a QR code reader on your phone to play (but it is easy to download and it's free). And I love that each card focuses on complete literacy: reading, writing, spelling, and pronunciation. Take a look here to read about all the different games you can play with these cards. The cards are currently available in five languages: English, Spanish, French, German, Russian, and Hebrew. So much fun! 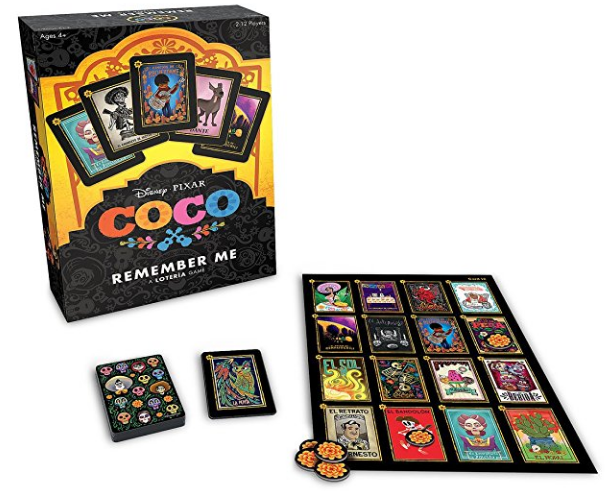 I included this set simply because the graphics on the cards are SO beautiful and, of course, because the movie was so delightful. 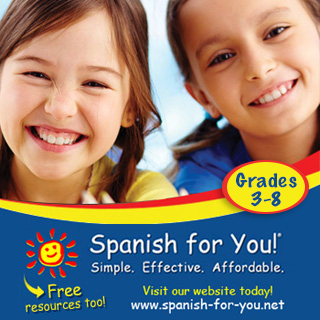 Reinforce your child's Spanish vocabulary with this game that includes words and images such as el sol, el nopal, la cama, and many others. 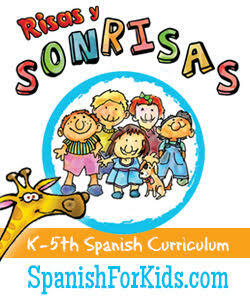 This monthly subscription is the perfect gift for bilingual families as it last ALL YEAR LONG! 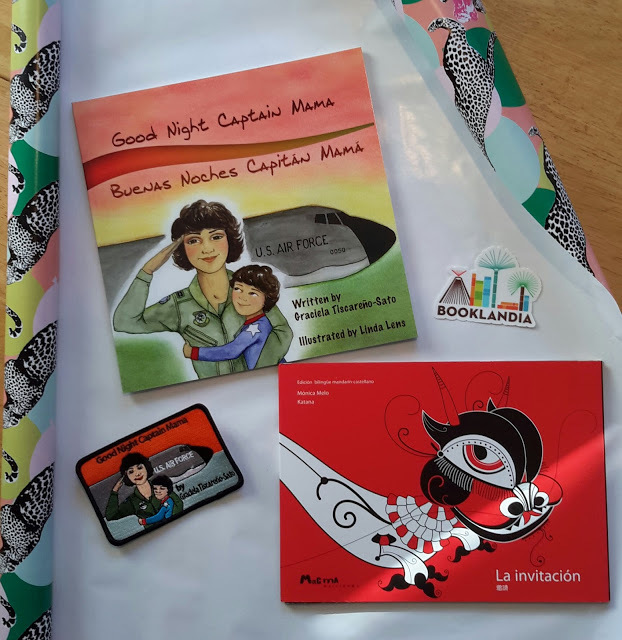 Each month, bilingual or Spanish books are delivered directly to your doorstep to help develop your child's biliteracy and love of reading. Authentic and original titles in Spanish - not bad translations - are the focus of this wonderful company! The book boxes are designed for families with children ages 2 to 12 years old.